Car body shop repairs have always seemed as dreaded as going to the dentist. Many of times we can only imagine what the repair bill will come out to be once it’s all said and done with. It feels sometimes that when we go in for something minor such as a simple dent repair, the mechanics tend to find more and more things that need to be urgently repaired; this often isn’t the case when you go in sounding like you know a lot about smash repairs. We should be making sure that we are not being taken advantage of. 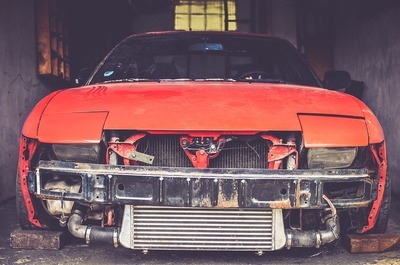 Car body shop repair doesn’t have to be expensive or intimidating when using these five money-saving tips from Salisbury Collision Centre, the experts at smash repairs. 1. Try to know what repairs need to be done before bringing your vehicle in if possible. This will limit any confusion on what really needs to be taken care of. You will have an idea of how long the repair will take, and the basic information about the entire process. 2. Call around to ensure you are getting the best price. Bumper bar repairs, for example, will vary in price drastically from place to place. Bargain with the business owner about the work that needs to get done if possible. You know what needs to get done and how much the competition is charging for the same work. Use this leverage to help you save money as well as build relationships for future work that may need to be done. 3. Have the mechanic walk you through the completed work on your vehicle. This is extremely important as they can visually show you step by step the work that they have done. You can also use this time to read the body language of the mechanic to ensure he/she is being honest about the non-visible completed work. Even a minor dent repair must be professionally repaired the right way. 4. By knowing more about what goes on and how things work within the car body shop repair industry, you will be able to know who has the best price, who is trustworthy or is it worth repair? 5. Be sure to network with the reputable ones and spread the advice to friends and family. This will keep your loved ones safe from scams within the industry and ensure smash repairs are done right. 6. Another way to save money on car repairs, perhaps especially bumper or smash repairs, is to call around and compare the rates of various local car repair places. It is wise to do this with anything you buy -- just do not sacrifice quality for price or else you may have to do the job over again. Local shops are generally to be preferred to national chains as they listen better to their customers’ feedback. These tips do not work at all shops, but buying your own car parts can save you plenty of money. First, though, request permission from the repair shop you bring your car to find out if they will allow your to bring parts. Not all will say yes, and others will agree on condition that they do not have to provide a warranty. Fortunately, the manufacturer generally offers a warranty. Another nifty tip is that local shops are more likely to be willing to install parts for you. This may come in handy when it comes to bumper repairs. Smash repairs could possibly be another matter.